I’m sure you are all sick to death at this stage of getting emails about May 25th but it is a very special date in our household. It has nothing to do with GDPR deadlines and nothing to do with the 8th Amendment Referendum. May 25th is only significant for us because it will be the 2nd birthday of our little boy. This means presents, cake and hopefully a day off work for Daddy! Priorities have changed somewhat since Purchase.ie was founded in 2009 but we have always valued the security of our customers. GDPR does not worry us at all for one very simple reason. We have always respected and put to the forefront the security of our customers details and always to the best of our knowledge acted in a manner which would comply with the new GDPR leglisation. Even though we have and retain your contact name, address and phone number securely when you place an order with us we do not distribute this information to any third parties. Even though you use a credit card when you place an order on our website we never get your credit card details. We outsource our e-commerce payment platform to the world re-noun leaders in the field Global Payments (Formerly Realex) and Paypal. If you have dealt with us you might receive emails from us occasionally. At the click of a button you can unsubscribe to this service with immediate effect. Unlike most online stores we don’t bombard you with several emails a month. Instead we tend to write one comprehensive newsletter outlining new products, money saving tips, special offers and discount codes and send it once a month. We do get a bit excited at some times during the year and send out 2 emails during the month but you will defintely not be hearing from us through your inbox on more than 18 times in a calendar year. 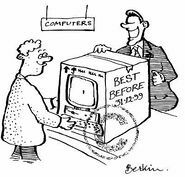 GDPR is the greatest IT crisis since the Y2K Millenium bug. We were told that the world would turn still on that day and its proved to be no more than a myth. Y2K gurus made their on millions on this myth none the less. So if you here that such and such a company is spending thousands of euro with GDPR gurus in a effort to be compliant than I would be more concerned with what they have been doing with your data up to now than what might happen in the future. 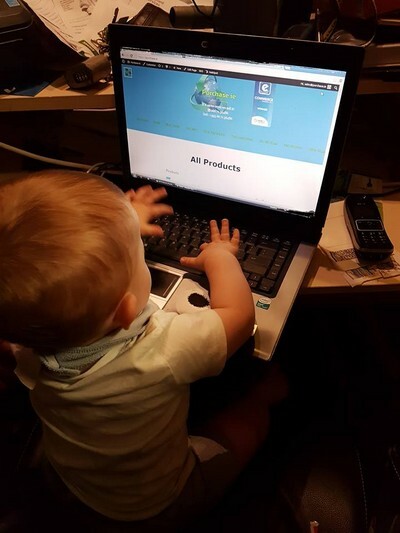 To celebrate our boys 2nd birthday and celebrate 9 years of putting the security of our customers personal data to the forefront of our thoughts use the code GDPR before the end of May for a discount on any order across our entire product range. Alternatively call us on 066 71 36486 and we can take your order over the phone.